This Valentine’s Day weekend, I am performing as part of a 30-piece on stage orchestra at the 5th Avenue Theatre in Downtown Seattle! The show, My Funny Valentine, will feature Broadway’s Greatest Love Songs which means of course, lots of harp! For more information, click here. I hope that you can make it! 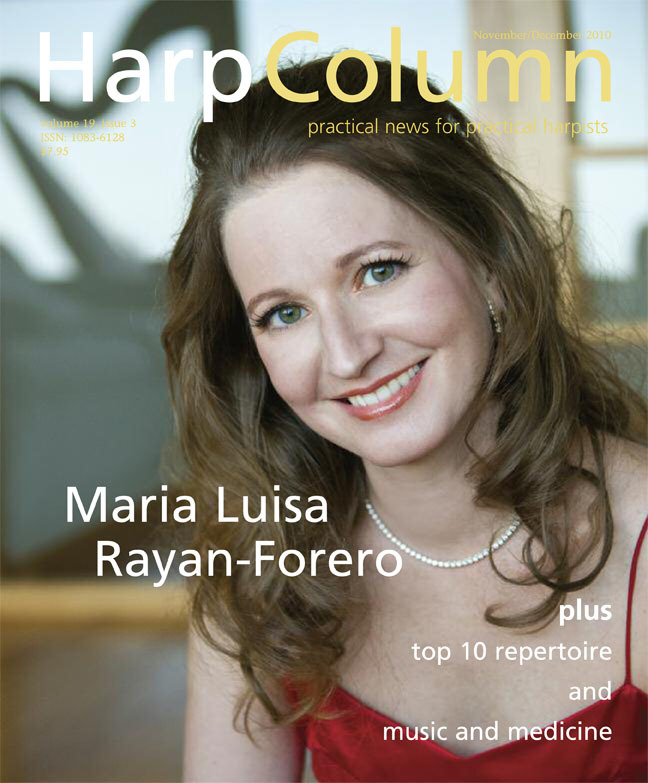 Check out my article in Harp Column Magazine! Posted in: News ♦ Sunday, January 9th, 2011, 10:02 PM ♦ 1,095 Comments on Check out my article in Harp Column Magazine! Hello friends! My article, Music and Medicine, was published in the November/ December 2010 issue of Harp Column Magazine! I have been reading this magazine since I began playing the harp when I was eleven years old, and it has been so exciting to be a part of it! Read the article here. Posted in: News ♦ Monday, May 17th, 2010, 1:11 PM ♦ 570 Comments on Welcome to elizabethsteinerharp.com!